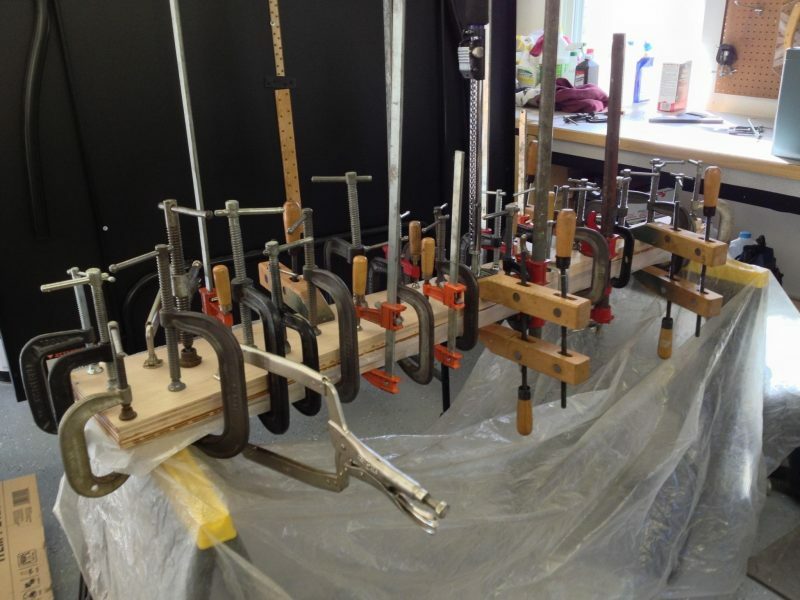 Randy Johnson, a great piano tech and tuner in Hackettstown sent me this picture entitled: Now THAT’S Clamping! This is a picture of a pin block. That’s a laminated block of wood in a piano which holds the tuning pins, which hold the strings. I’ll show you the next steps as he progresses through the process.